(Newser) – Harry Potter fans, hope you're sitting down—and SPOILER ALERT to any who haven't read the seventh and final book. 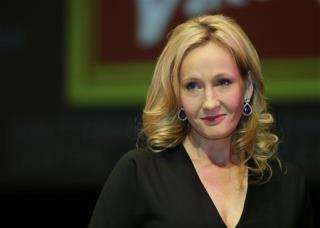 JK Rowling says that marrying Ron and Hermione was a mistake written as "a form of wish fulfillment." In an interview with Emma Watson, portrayer of Hermione in the blockbuster film series, Rowling goes on: "For reasons that have very little to do with literature and far more to do with me clinging to the plot as I first imagined it, Hermione ended up with Ron." Rowling admits that Hermione would have been happier with Harry, the Sunday Times reports. She'll just write an eighth book saying that the marriage was only Harry's dream. I was not impressed with the matchmaking at the end, but assumed that it was JK Rowling trying to tidy everything up in a nice little bundle prior to the end of the series. Bottomline: you couldn't have Ron marry his own sister. There were not many other options open.